Your lawn care needs are no match for the experts at Lush Green Landscapes. For expert lawn and landscape maintenance services that are fast and reliable, call (970) 201-1967 and get a quote or schedule services. Looking for a reliable lawn care service provider shouldn't be a hard task. 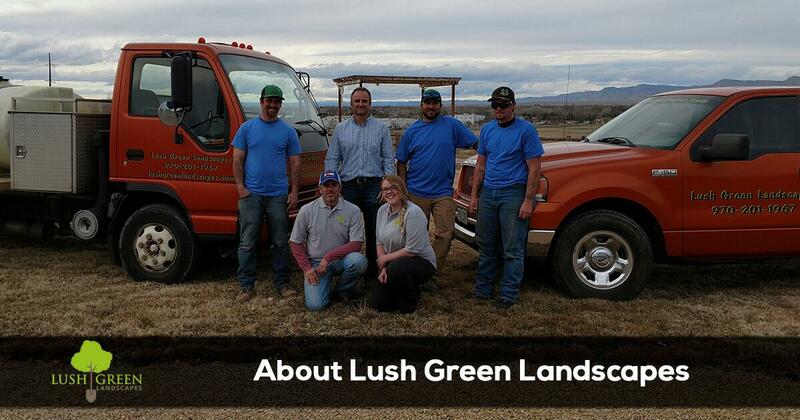 At Lush Green Landscapes we have been caring for lawns in Grand Junction, Clifton, Palisade, Fruita, Redlands, Orchard Mesa, and Fruitvale area since 2003. In that time we have grown and developed into one of the most trusted and recommended lawn care service providers in Colorado. With expertly trained employees, we are able to provide the highest level of service that is guaranteed to give you the peace of mind you deserve. As a family owned and operated business, we understand the need for clear, concise, and efficient communication and billing of your services. In order to meet and exceed our customer's expectations we use the industry leading software to maintain your account information, billing, scheduling and communicating any special needs you may have to our crews. When you need dependable lawn service that is efficient and effective, trust the experts at Lush Green Landscapes. In addition to providing service that is unparalleled in the lawn service industry, our customers benefit from additional features that add value to their experience. Nothing is more frustrating than receiving an unexpected and unpleasant bill after the work is completed. Our customers appreciate our transparent, honest approach to pricing. With our no hassle pricing, customers get the pricing associated with the lawn care services they require quickly. This means you will never receive an unpleasant bill from us after the work is done. You must be absolutely delighted by our services!!! If for any reason, or no reason at all, you feel you're not absolutely, positively 100% happy with our work, I WON'T BE HAPPY EITHER. That means I WILL NOT REST until we make it right. I will immediately send my team to fix the problem no questions asked… That is how strongly I believe you will love what we do. Let us prove it to you! Lush Green Landscapes is a local, family owned and operated company. With strong ties to the community, we empathize with customers who are looking out for their families because it is what we do too. Our honest advice and top-quality work are what we would provide for our own family members. When you call Lush Green Landscapes, you are calling on numerous years of lawn care service training and experience. We only hire the most skilled and professional lawn service technicians in the industry to guarantee your satisfaction and ensure your confidence in our services. Whether you need professional lawn mowing, fertilization and weed control, sprinkler system maintenance, landscape maintenance or landscape design and building we have the staff, tools and skills to get the job done. Trust your home lawn care maintenance needs to our team of experienced lawn service technicians. Call (970) 201-1967 to find out why your neighbors and friends trust us for all of their lawn maintenance needs.